iCall is one of the players in giving away free VoIP calls to North America. Unlike today, it changed the way it offers products and services. 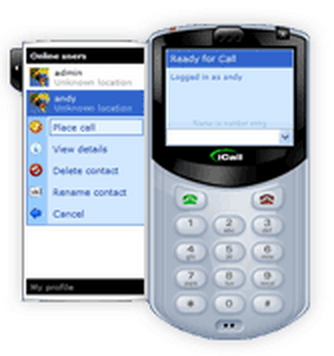 The company used iCall used to offer free unlimited long distance calls to Canada and the United States. Competing with Skype and NetZero with its VoIP softphone at the time. Feel free to comment, rate, review and ask or answer about this company using comment section at the bottom of this page. iCall is a Voice over IP business phone system that allows users to place phone calls over computer or mobile networks. iCall offers service packages scalable to your business needs at a low cost. With new competitive international rates, and no hardware to purchase, iCall allows users to get connected with staff or clients globally as a low cost from any platform. Create and share as many phone numbers for just $2 per month and enjoy over 20 features for your business phone. International Calls - see rates. What are your thoughts about iCall? Let us know in the comments section!